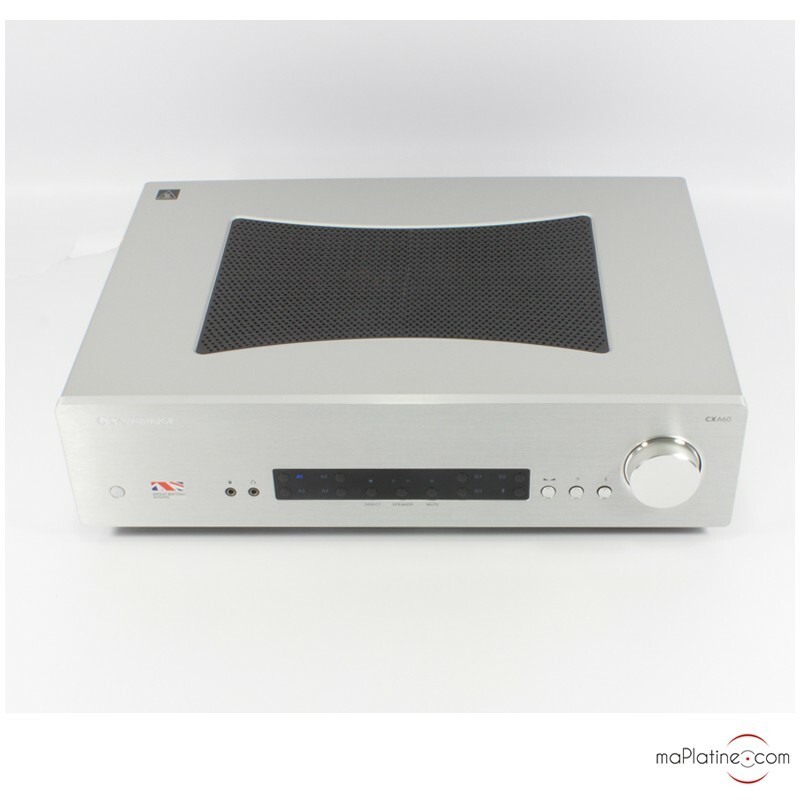 The Cambridge Audio CXA60 integrated amplifier is both an amplifier and a digital-to-analogue converter (DAC). 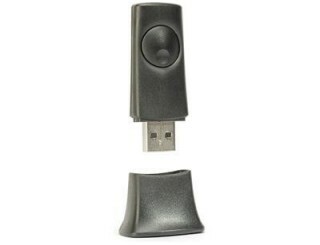 It has a 100% metal anti-resonance housing that has been specially designed to reduce vibration as much as possible. 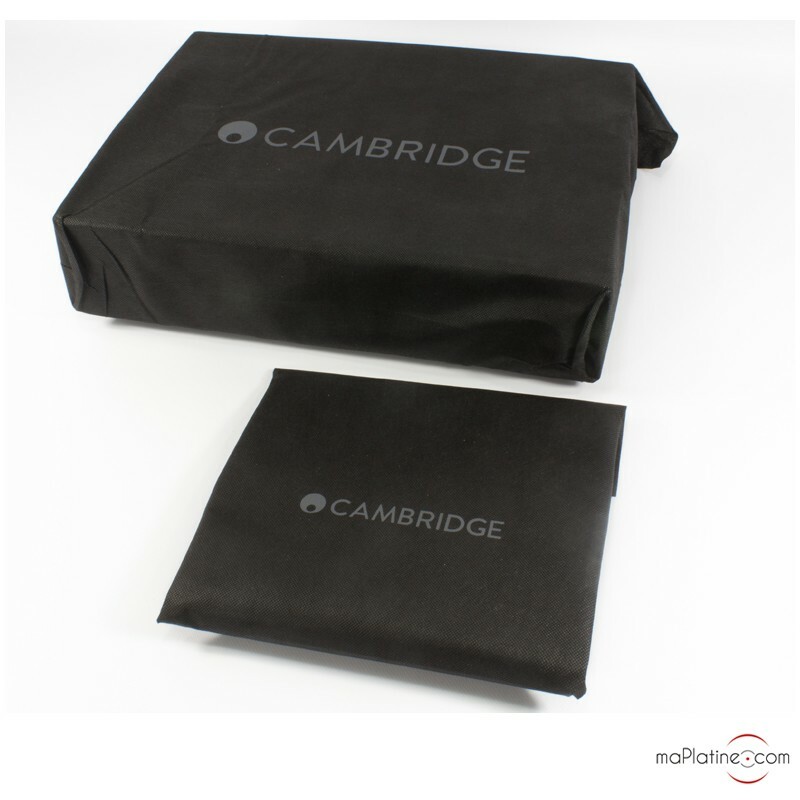 It can accommodate 4 digital sources and 4 analogue sources. 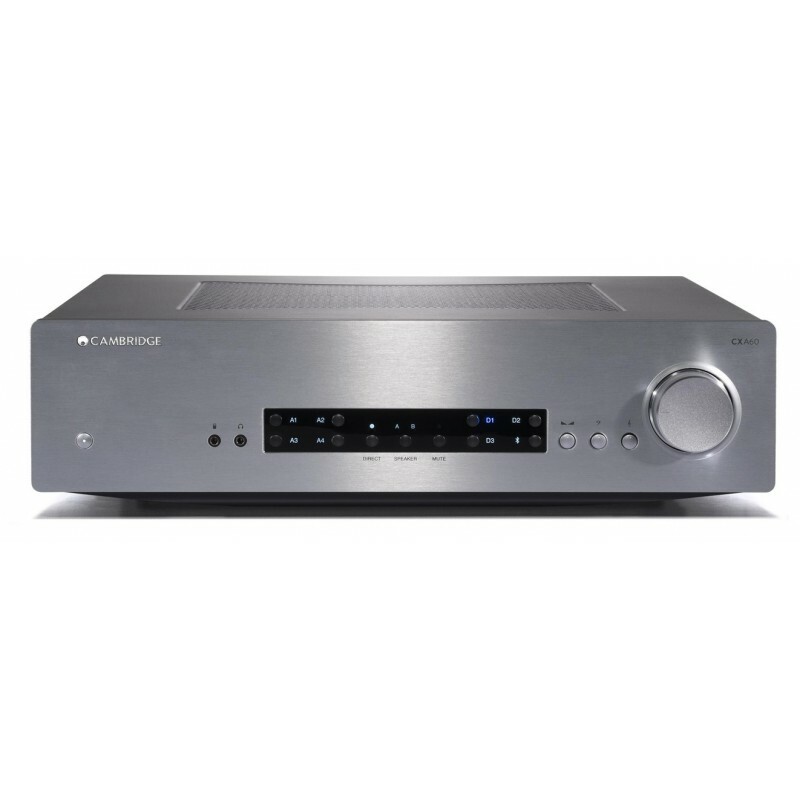 It has 2 Toslink optical inputs, 1 S/PDIF coaxial input and 1 Bluetooth input. To use the latter, you'll need a Cambridge Audio BT100 audio receiver (optional). 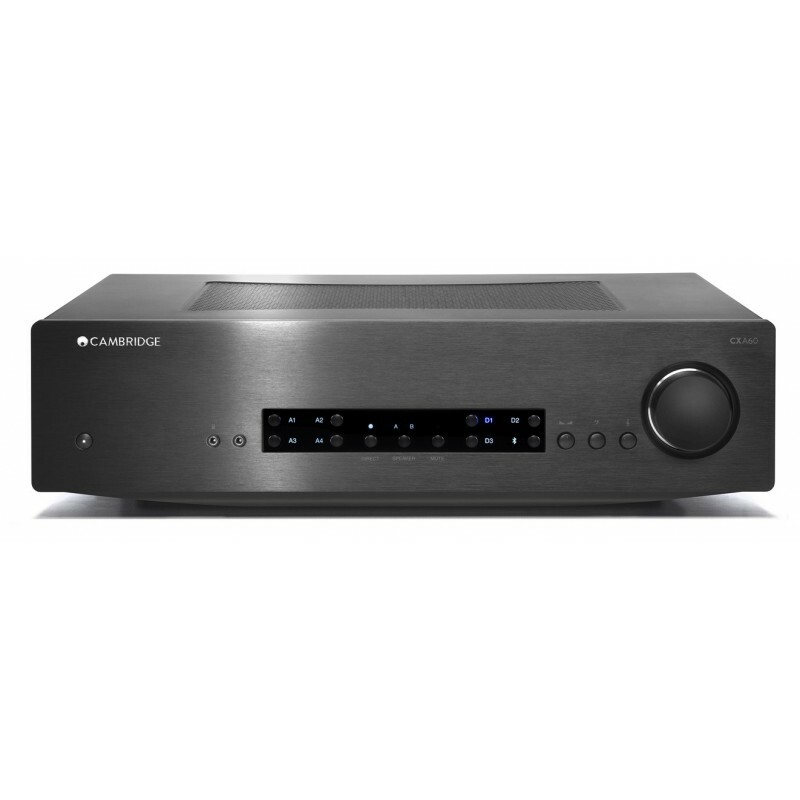 This receiver will enable you to stream your music wirelessly from any Bluetooth-enabled device (smartphone, tablet, etc.). 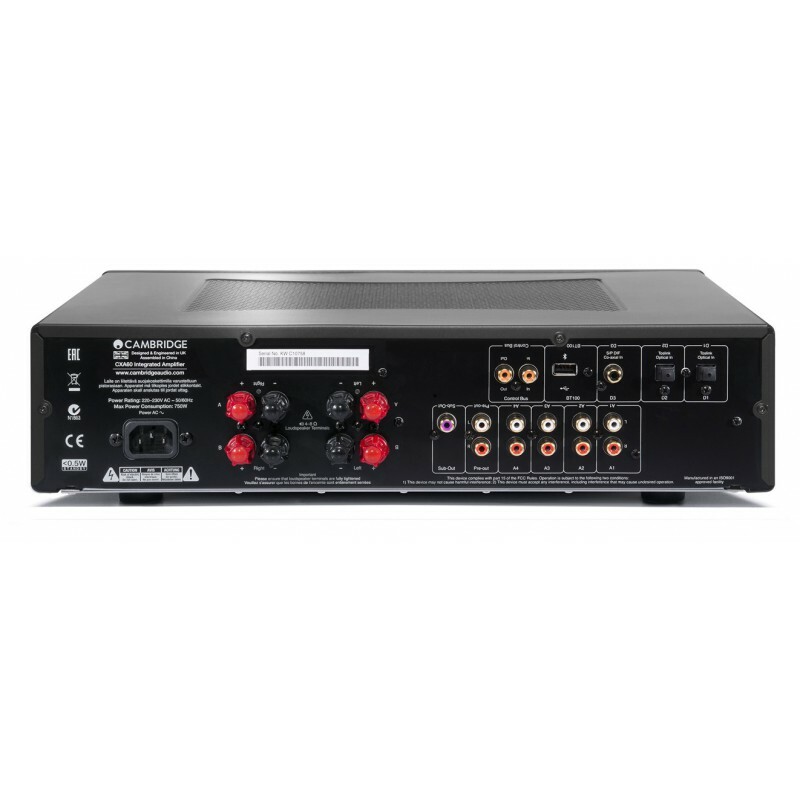 The CXA60 uses the high-end Wolfson WM8740 DAC for its digital to analogue conversion. 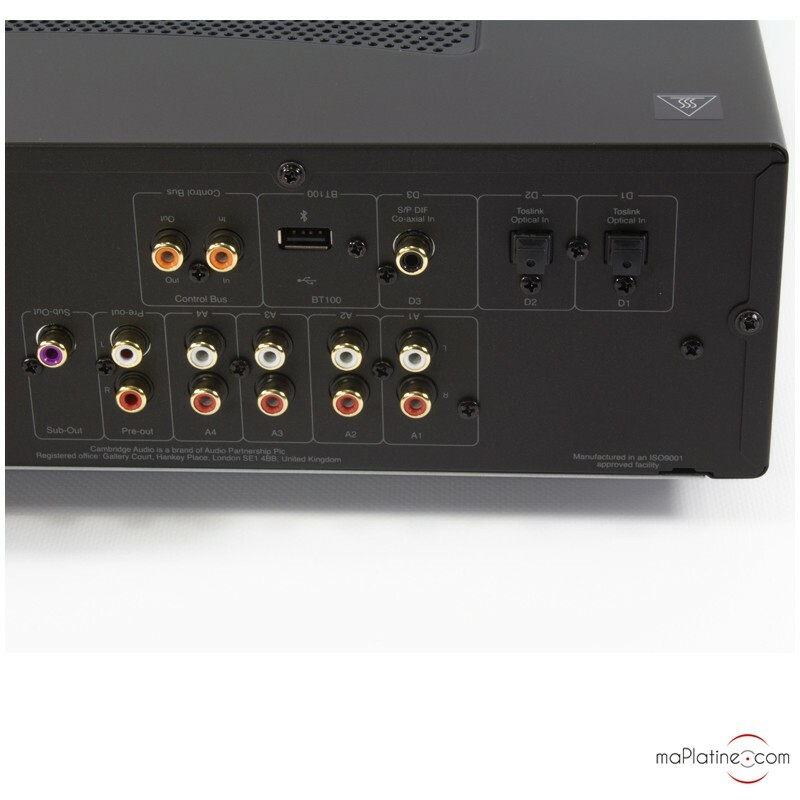 On the back panel of the device you'll find 3 stereo RCA analogue inputs, and on the front panel you’ll see a 3.5mm jack MP3 input. 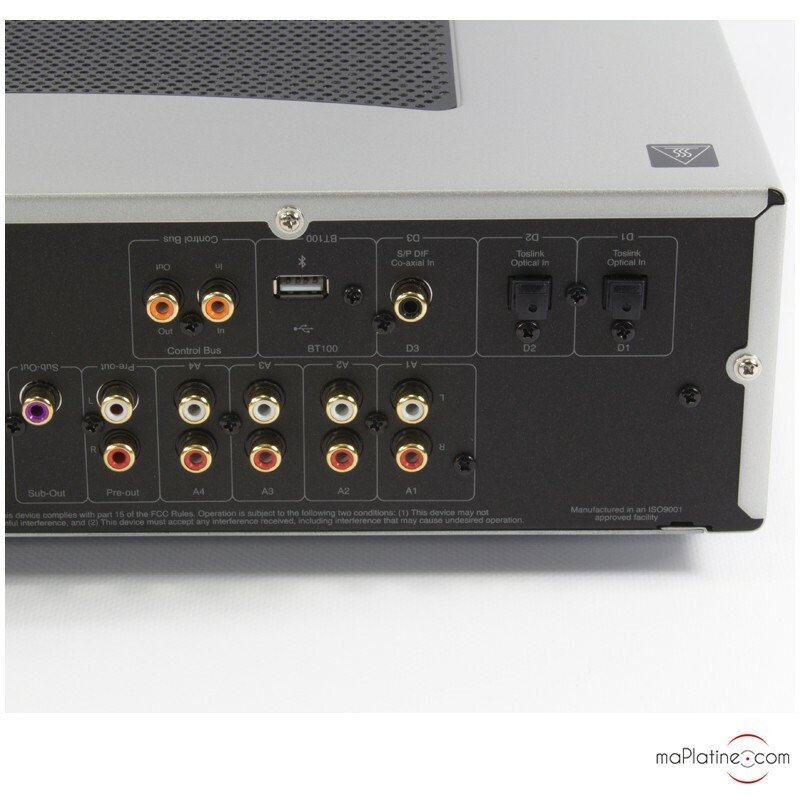 The front panel also features a 3.5mm headphone jack output, as well as 8 buttons for source selection. On the right-hand side of this panel are 3 rotating buttons for adjusting the bass, treble and balance respectively. The ALPs volume potentiometer ensures excellent channel balance. In the centre of the front panel is a Direct button, which disables the balance and tone controls. 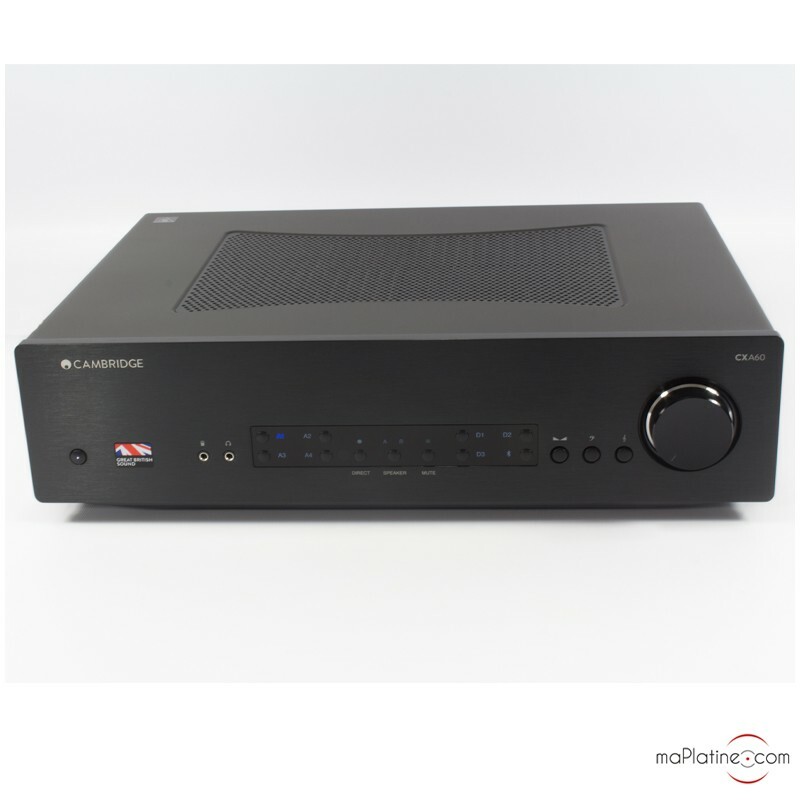 The Cambridge Audio CXA60 amp has a preamp output, giving you the option of connecting it to a power amplifier if required. 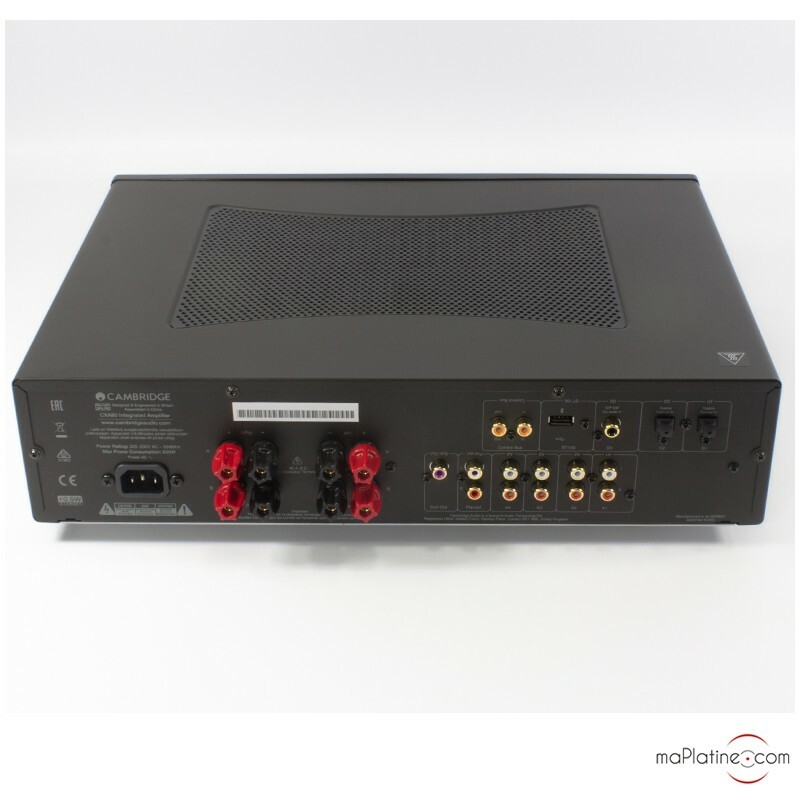 It also has a sub out if you need to add a subwoofer to your system. The internal layout of the printed circuit boards has been optimised to minimise left/right crosstalk and ensure excellent channel separation. 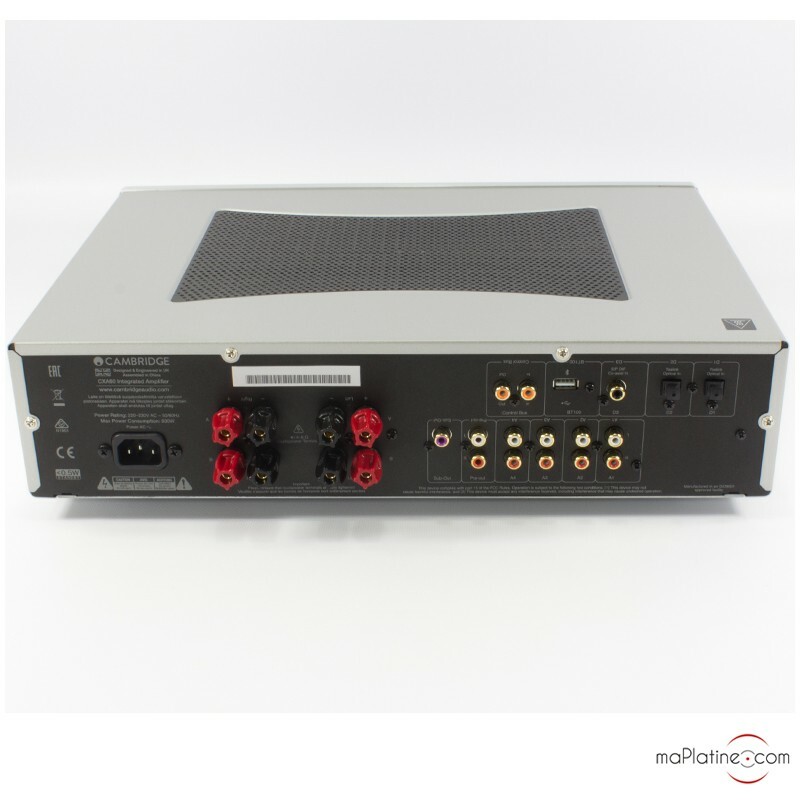 It uses a toroidal transformer to provide a power supply that is far superior to amplification circuits. This transformer also eliminates noise and hum. 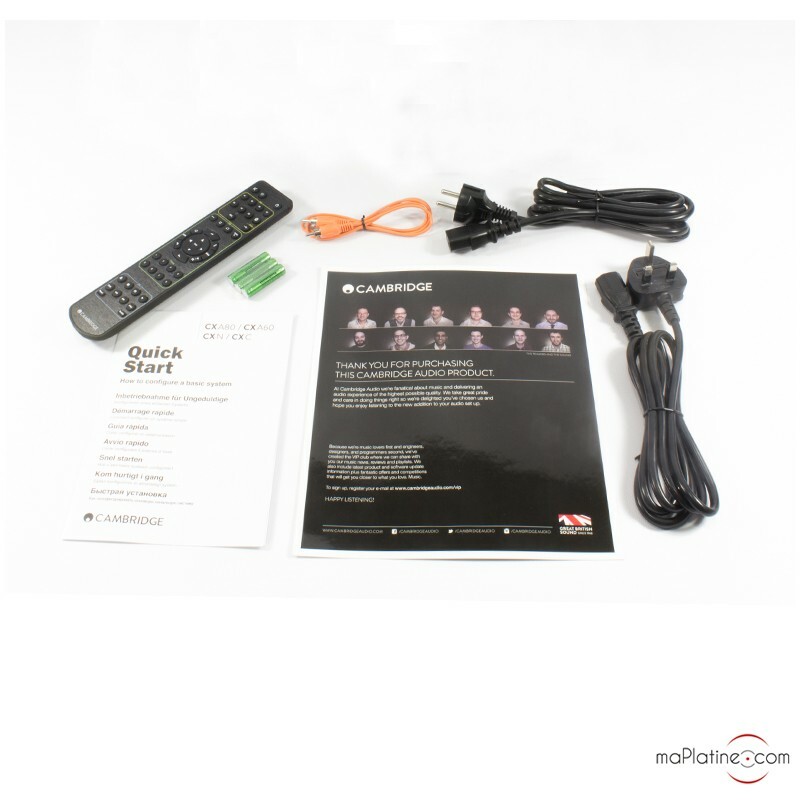 It is fully shielded to ward off internal and external interference and preserve signal quality. 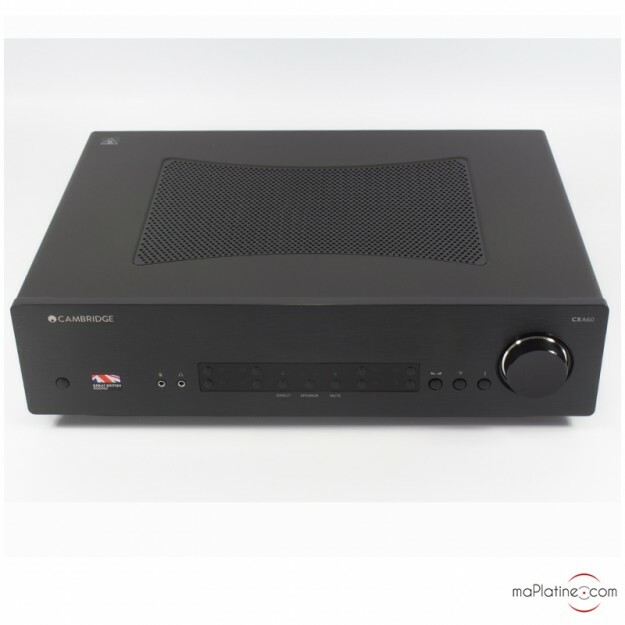 The Cambridge Audio CXA60 amplifier also features CAP5 (Cambridge Audio Protection 5) technology, which protects the device from overcurrent, short-circuiting and clipping. 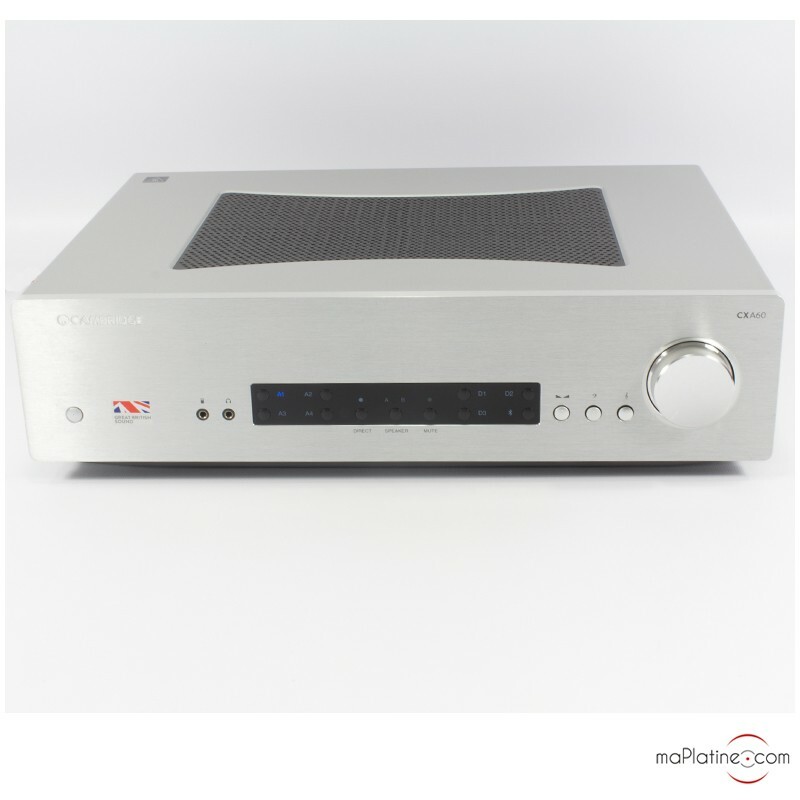 This system also features DC detection to protect the Cambridge Audio CXA60 from user errors, as well as overheating detection in case of insufficient ventilation. 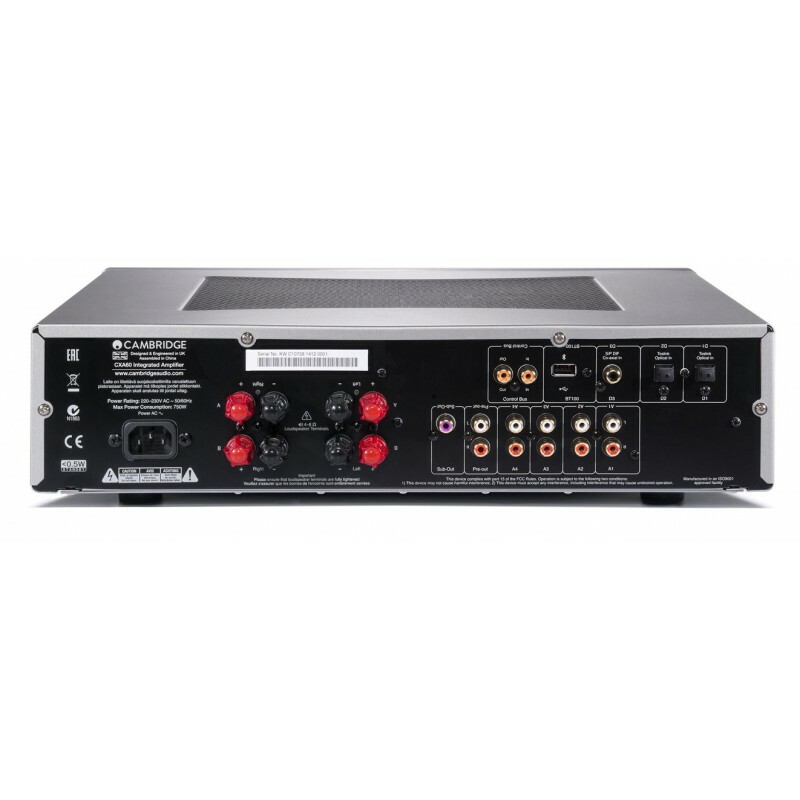 This amplifier is a high quality Class AB amplifier. 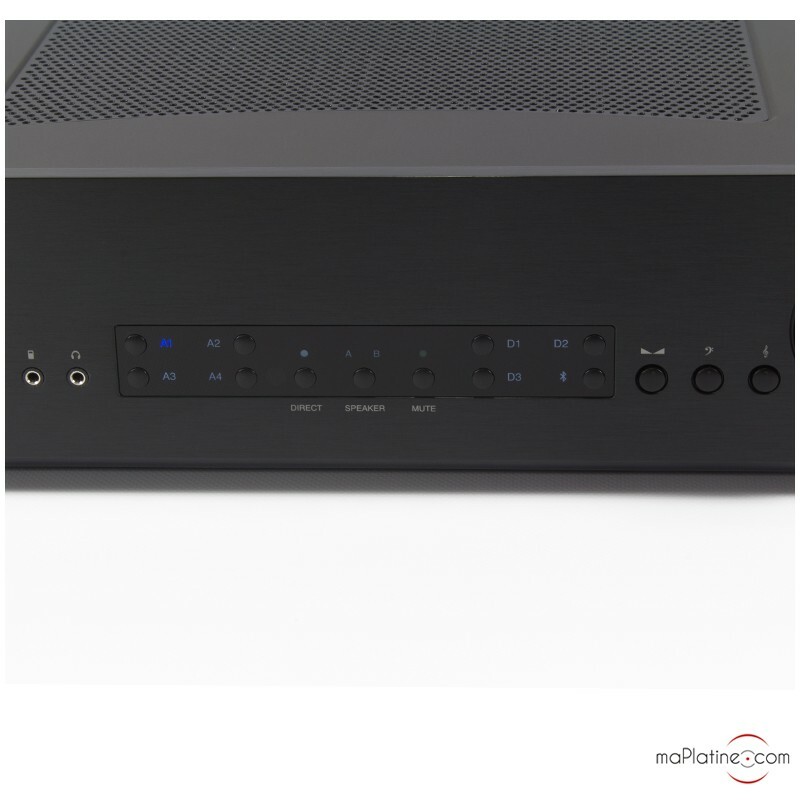 It can be used to power 2 pairs of speakers and thus create two listening areas. 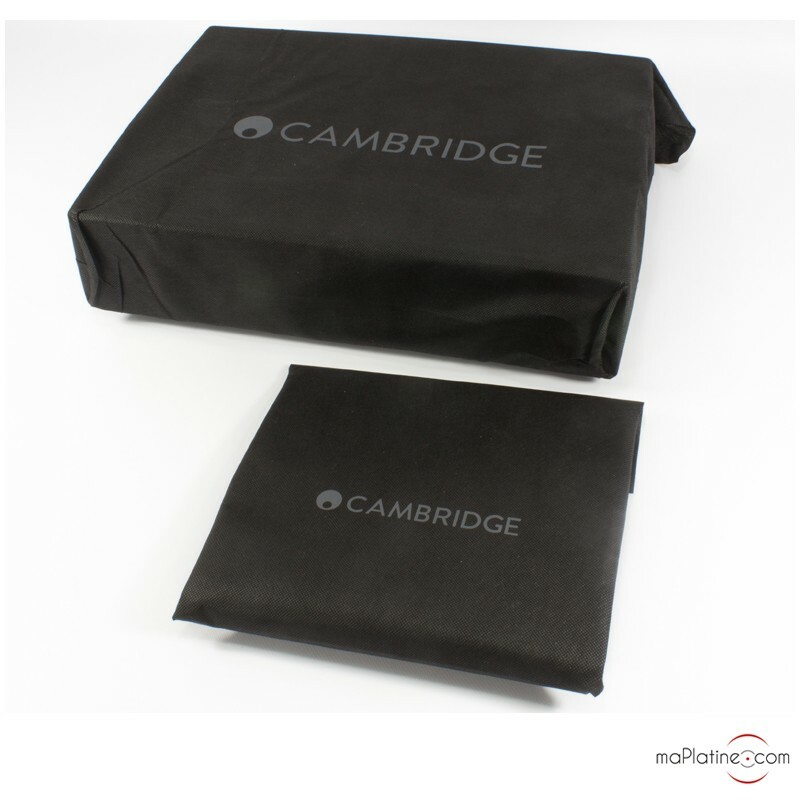 Cambridge Audio has been designing and producing Hi-Fi equipment since 1968. And this wealth of experience is plain to see (and hear!) 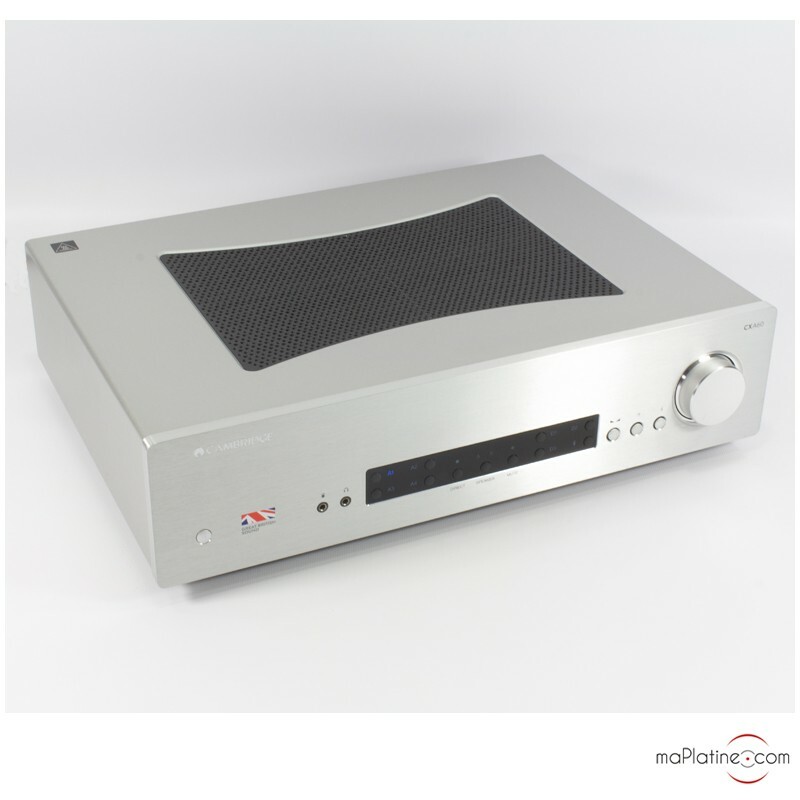 in the Cambridge Audio CXA60 amplifier. 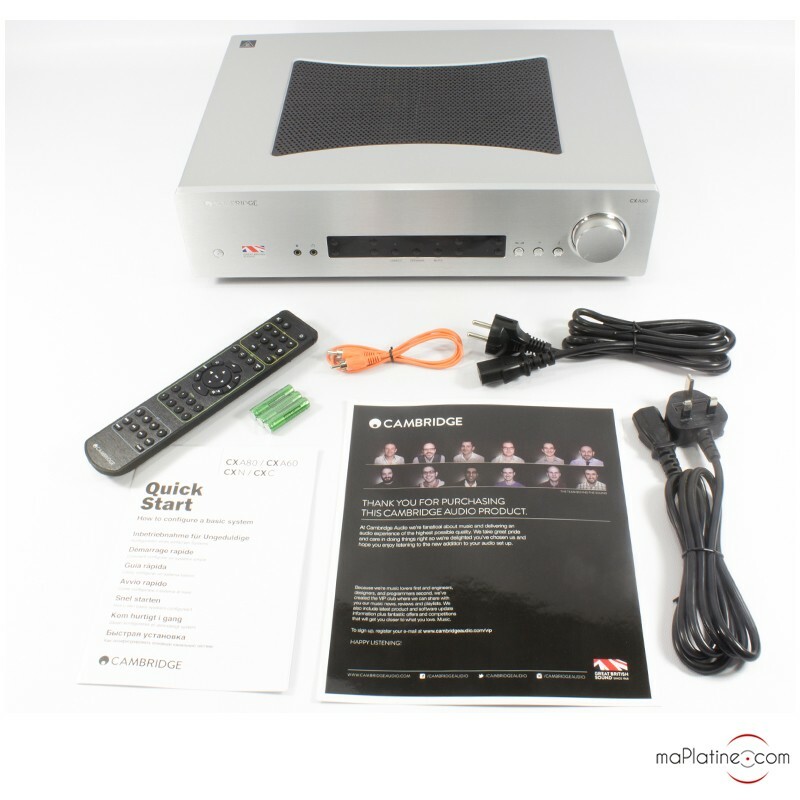 The stereo imaging is quite simple remarkable. 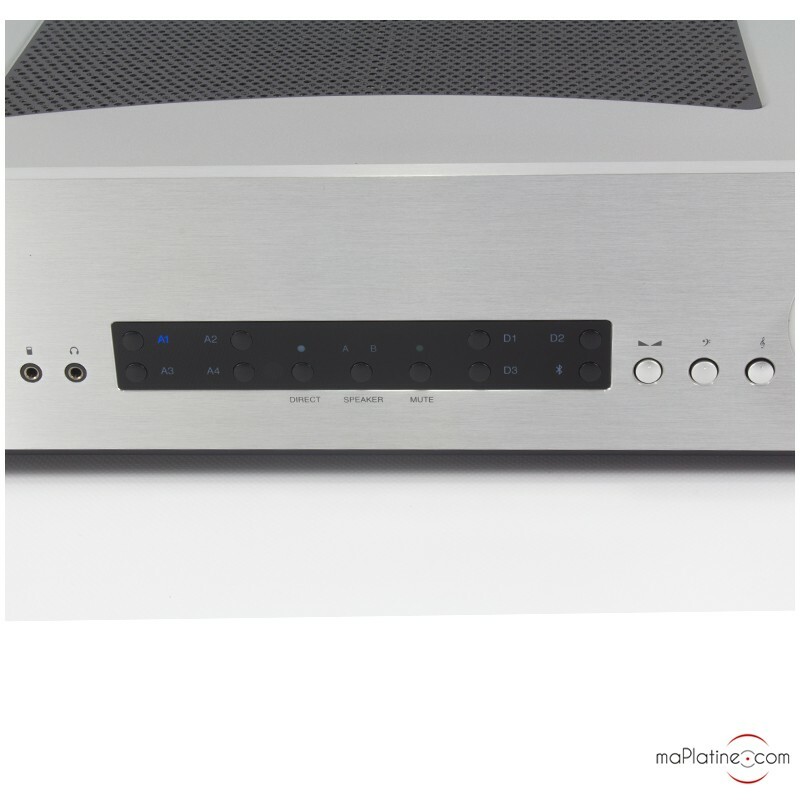 This amplifier is a comprehensive and highly musical product – probably the best in its category, we would venture to say!